ST. PAUL, MN – Today, Governor Mark Dayton announced the appointments of Brianne J. Buccicone and John D. Klossner as District Court Judges in Minnesota’s Tenth Judicial District. 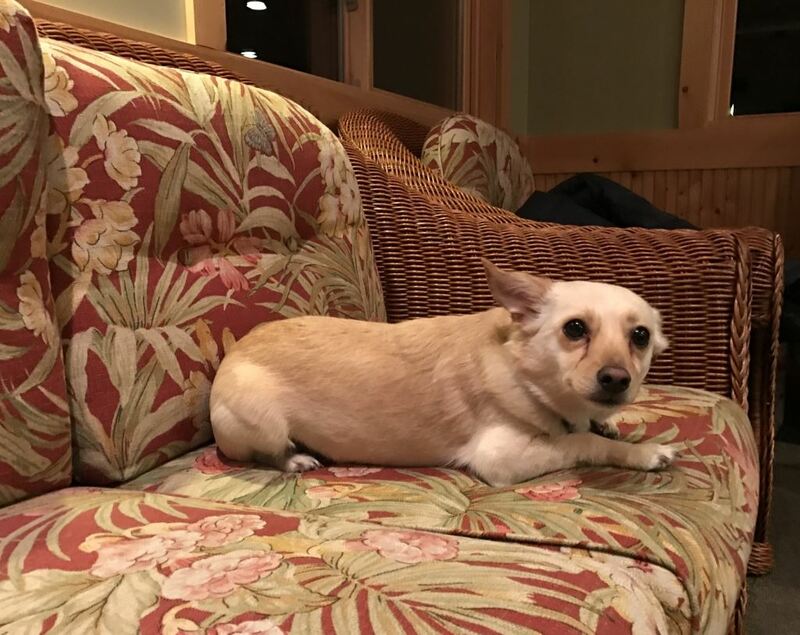 Ms. Buccicone, endorsed for the post by MNAPABA, will be replacing the Honorable Thomas D. Hayes, and will be chambered at Elk River in Sherburne County. Mr. Klossner will replace the Honorable James E. Dehn, and will be chambered at Cambridge in Isanti County. Ms. Buccicone is an Assistant Anoka County Attorney in the Civil Division, where she represents petitioners in civil commitment proceedings. Previously, she was a Special Assistant County Attorney in the Anoka County Attorney’s Office in the Protective Services Unit; a National Product Specialist, a National Account Representative, and an Inside Account Manager at Thomson Reuters; an Assistant Ramsey County Public Defender; and a judicial law clerk to the Honorable Diane R. Alshouse, Second Judicial District. She earned her B.A. from the University of Minnesota and her J.D. from Mitchell Hamline School of Law. Ms. Buccicone is a member of the Minnesota Asian Pacific American Bar Association, 8U team manager for the Andover Huskies Youth Hockey Association, and a trainer for Heart Safe Andover. With Ms. Buccicone's appointment by Governor Dayton today, MNAPABA counts nine state or federal APA judges active with MNAPABA within the state of Minnesota currently on active or senior status. This number has more than doubled in the past two years. About 15 members and friends gathered for breakfast with Prof. Frank Wu before his keynote speech at the MSBA Convention. We are grateful to Professor Wu who graciously gave us his time and shared his thoughts on the Asian-American experience. Special thanks to the MSBA for their support in making this happen. 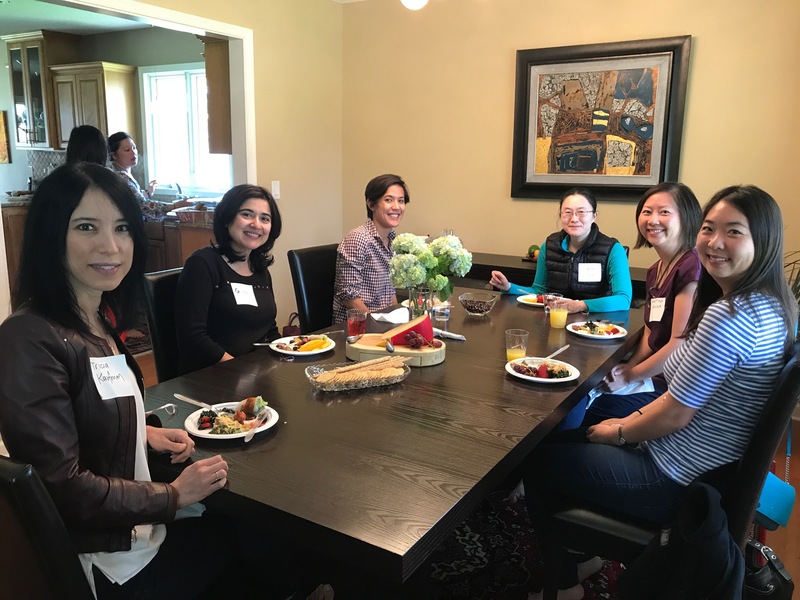 The MNAPABA Women's Committee hosted a brunch and candid conversation at Loan Huynh's home in Golden Valley. Special thanks to Loan Huynh and Cynthia Lee for organizing! With the local affinity bars, MNAPABA brought a broad cross-section of over 50 employers together with 80+ law students to answer questions and give advice. Many conversations carried on well past the official closing time. Special thanks to Dorsey & Whitney for generously sponsoring and hosting, as well as our partner affinity bars. MNAPABA joins the National Asian Pacific American Bar Association (NAPABA) in condemning the revised executive order signed by President Trump stopping refugee admission and continuing a Muslim Ban. See below for NAPABA's full statement, which we have decided to support. WASHINGTON — The National Asian Pacific American Bar Association (NAPABA) and the South Asian Bar Association of North America (SABA) condemn President Trump’s new executive order that includes many of the discriminatory provisions of his earlier order, which also sought to stop refugees from entering the United States and halt immigration from several Muslim-majority countries. These orders, which are based on the misguided idea that certain religious and ethnic populations are more prone to violence, are incompatible with American values, and will not make our communities safer or our nation stronger. Notably, the order, continues to 1) suspend refugee admission for 120 days, 2) reduce and limit the number of refugee admissions, and 3) targets individuals from six Muslim-majority countries, suspending entry of individuals for 90 days, with some exceptions. "The President's Executive Action does nothing more than advance an anti-Muslim agenda espoused during the campaign under the guise of National Security,” said SABA President Vichal Kumar. “A refugee, by definition, is a person who has been forced to leave their country in order to escape war, persecution, or natural disaster. The supposed justification for this Executive Action punishes this person for the very same war and persecution that is causing them to leave in the first place." Both NAPABA and SABA joined litigation against the executive order enacted on Jan. 27, 2017. Our members have been at the airports assisting families, in the field educating communities about their rights, and in the courts supporting local and national pro bono efforts. Read our original statementhere. NAPABA and SABA join our fellow attorneys, the Asian Pacific American community, and Americans of all backgrounds in reiterating our commitment to diversity and justice. We remain committed to ensuring that all are free from discrimination and racial and religious profiling. 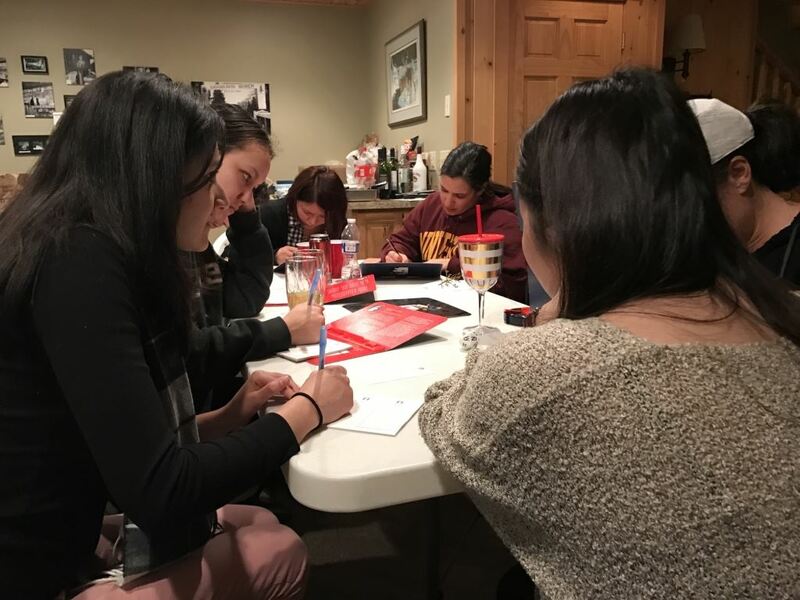 On February 22, 24 lawyers and 8 law student volunteers gathered at the Hmong American Partnership in East St. Paul to serve the community at a Legal Advice Day. 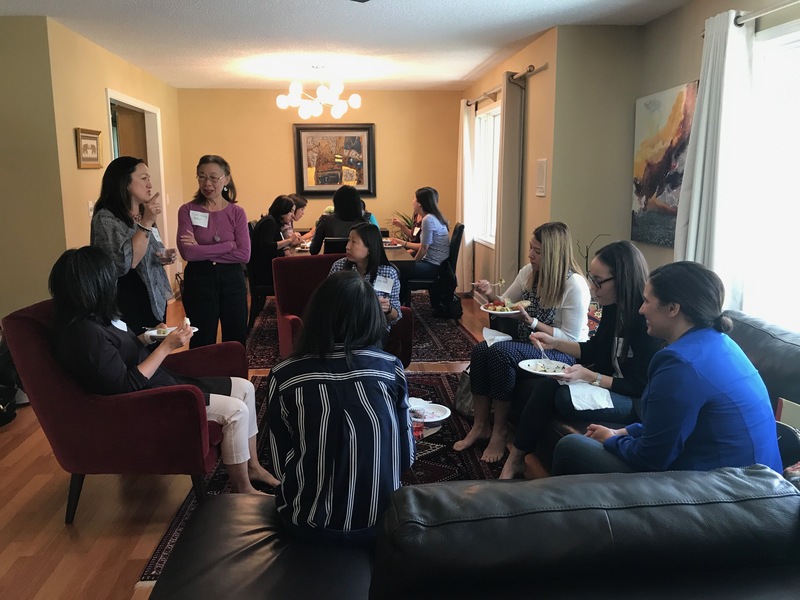 MNAPABA Outreach Committee member Summra Shariff organized the event in partnership with the Volunteer Lawyers Network, Hmong American Bar Association and the Hmong American Partnership. A diverse group of clients received help on a variety of legal issues, including immigration, criminal, housing, civil, and family law matters. At the clinic, clients received help drafting pleadings, immigration forms, and accessing other legal resources. In addition, interpreters were on hand to makes sure all clients understood the advice provided. Prior to the Legal Advice Day, all volunteers participated in a training at Robins Kaplan LLP. Moving forward, we hope to establish a regular monthly clinic to provide much needed legal services in east St. Paul, an area where there are few affordable legal resources and many people who need help. 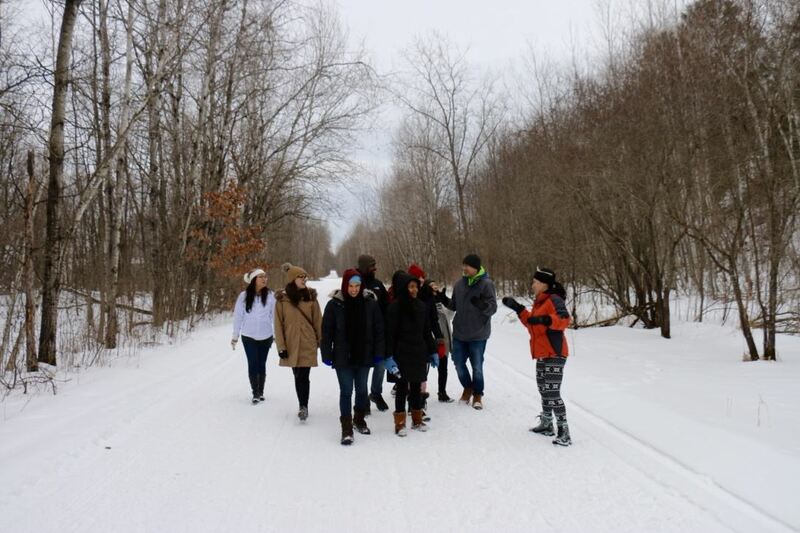 Thank you to all who attended the Annual Winter Retreat. Special thanks to Judge Peter Reyes for leading a career workshop and his continued support of MNAPABA. Below are some photos of the event courtesy of Yi-Chao Chang. 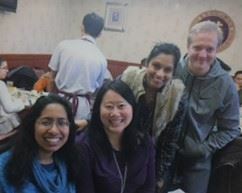 February may be the shortest month measured in days--but let it be known that this month comes to a close having seen active participation from all corners of our Minnesota Asian Pacific American Bar Association membership. 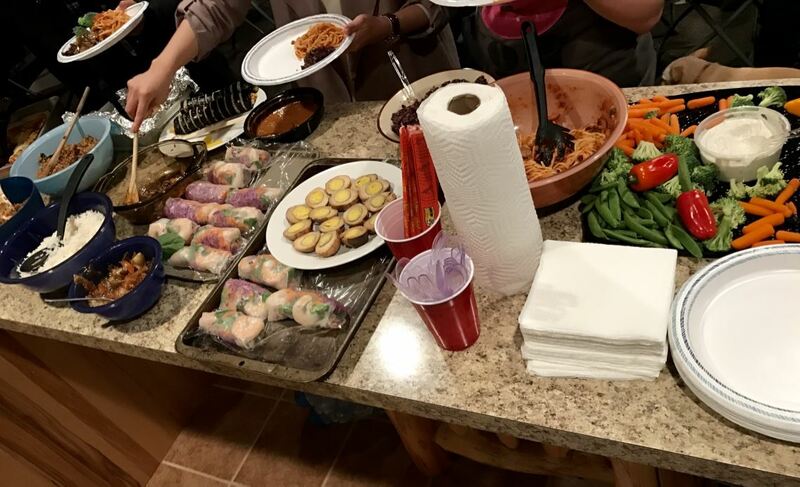 From Lunar New Year dim sum to our annual Winter Retreat to serving a couple dozen clients in need at our Legal Advice Day in St. Paul, MNAPABA members and friends came out in force to celebrate our community and serve. February was also a month the APA community took stock of of where we've been and how far we still have to go (and help others go, frankly). On February 19, many of us took pause to note the 75th anniversary of the signing of Executive Order 9066 by President Franklin D. Roosevelt. As we all know, the order authorized the evacuation of all persons deemed a purported "threat" to national security from the West Coast to relocation centers further inland. In the next 6 months, over 100,000 men, women, and children of Japanese ancestry were moved to assembly centers. They were then evacuated to and confined in isolated, fenced, and guarded relocation centers, known as internment camps. Fox 9 did a story on the commemoration of the historic anniversary at the Minnesota History Center that aired on the 19th and featured survivors of the incarceration camps (full disclosure, that's my fiancé Ted Haller, journalist/lawyer reporting--let's say I'm glad I talked this up a lot at the dinner table). There's a recap of our February events below, but before we dwell too much on the past, I'd like to highlight another action-packed month ahead that I hope each and everyone of you will join us for. The number eight is really great, isn't it? If you're familiar with Chinese customs--you know the number eight carries a lot of lucky significance. Eight also happens to be the number of active and senior MNAPABA Asian Pacific American judges we can now celebrate in the State of Minnesota. Eight! We're only about half way to full demographic representation, but we're making progress as an APA community. Please join MNAPABA on Tuesday, March 7, 2017 at 5:30 p.m. to celebrate our APA state and federal judicial officers at this year's annual Judges Reception. This year, our "host" judge is the Hon. Tony Atwal, Ramsey County District Judge. Gov. Mark Dayton appointed Judge Atwal to the bench last May. Instead of congregating in chambers this year, we are taking the Judges' Reception out into the community. Next Tuesday, join us at the Boom Island Brewing Company in Northeast Minneapolis where we'll also get to celebrate an APA-owned business. The Belgian-styled brewery is co-owend by Qiuxia Welch, who supervises the business and marketing side of things along with her brewer husband, Kevin. Even Qiuxia’s parents played a critical role in the business, leaving their home in Chengdu, China, to help construct the brewery and fill in as needed during the company's early years. Both Qiuxia and Judge Atwal will both have remarks for us about their journeys to places few APAs have gone before. Don't forget to RSVP so we have enough provisions--light appetizers provided by MNAPABA. If you've ever talked to longtime friend and sponsor of MNAPABA, Jerry Blackwell, about the work we do in the diversity bar you've probably heard him talk about B-HAGs -- Big, Hairy, Audacious Goals. 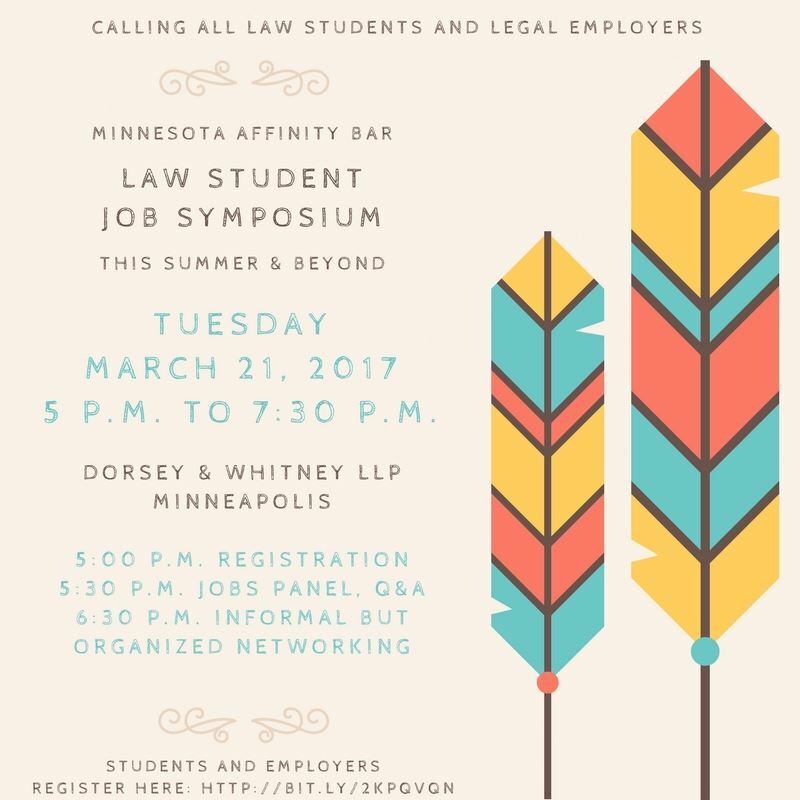 Five affinity bars got together after the first of the year and came up with a BHAG (bee-HAG) to serve our Twin Cities law students -- the Affinity Bar Jobs Symposium: This Summer & Beyond on March 21, 2017 at Dorsey & Whitney. Registration is nearly full--so employers and students who want to participate should register as soon as possible. We set out to create an event that would answer student questions at a critical time before spring finals and with about two months until summer--we want to bring our diverse law students into one room and demystify the legal hiring process across the profession and for students at each level. 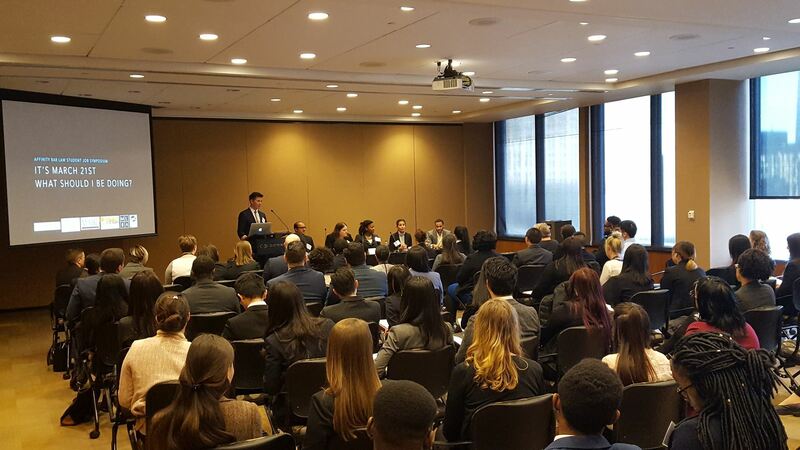 The event will include a one-hour panel/Q&A with attorneys with job-seeking tips from all corners of the profession followed by an "organized but informal" networking session where legal employers will assume mapped-out stations in the room and students will get the opportunity to traverse the space. They'll be encouraged to work the room and learn about new areas of practice and meet hiring reps and lawyers from areas where they know they have interest. I'm particularly excited about this event and thankful for our very own Aalok Sharma, VP of Membership, for taking the lead on planning this B-HAG along with representatives from MABL, MHBA, MLBA, and MWL. Thanks, Aalok, and thanks to Dorsey & Whitney for hosting what looks to be a full-house on the 21st! 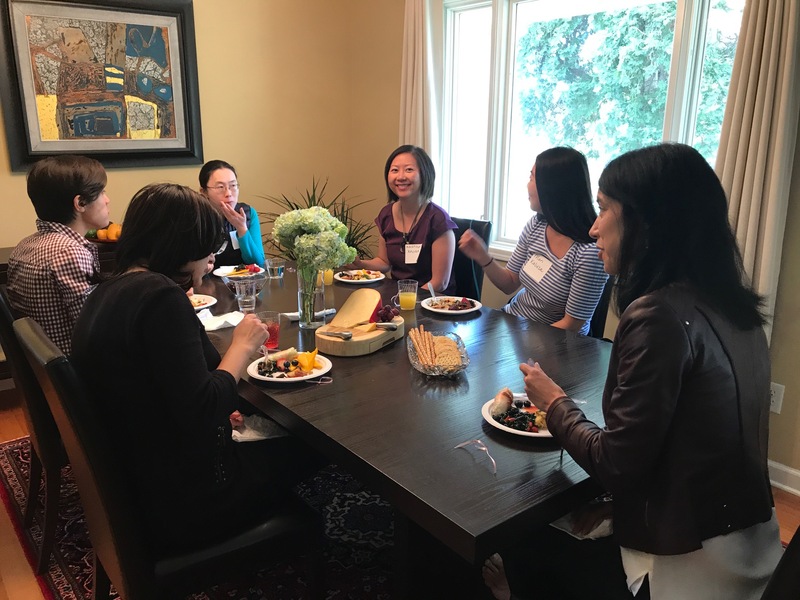 Last Wednesday, more than two dozen lawyers and law student intake volunteers gathered at the Hmong American Partnership on Arcade Street in St. Paul to serve the community in our second-ever MNAPABA/HABA/VLN Legal Advice Day. It was quite something to hear some of our clients' stories and address their needs--from the dire to just a basic desire to understand their legal rights and obligations. 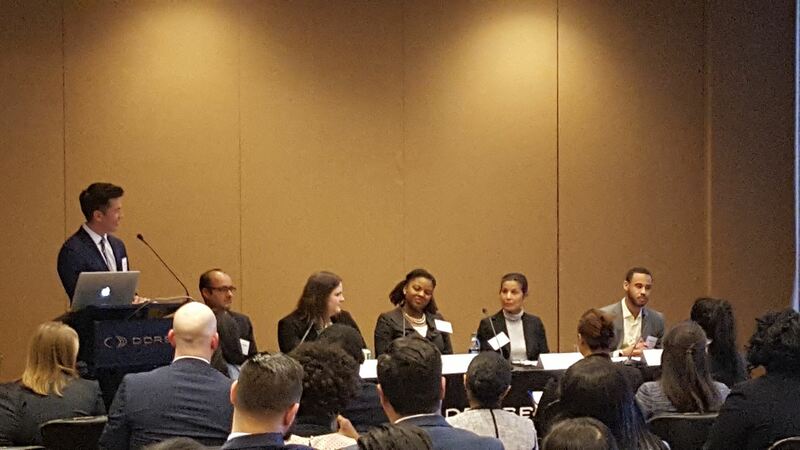 It was also amazing to see the diversity of participation from among our membership and friends--from the newest law students to the general counsel of a Fortune 100 company, it wasn't about us. Our clients looked at us all the same, with appreciation. 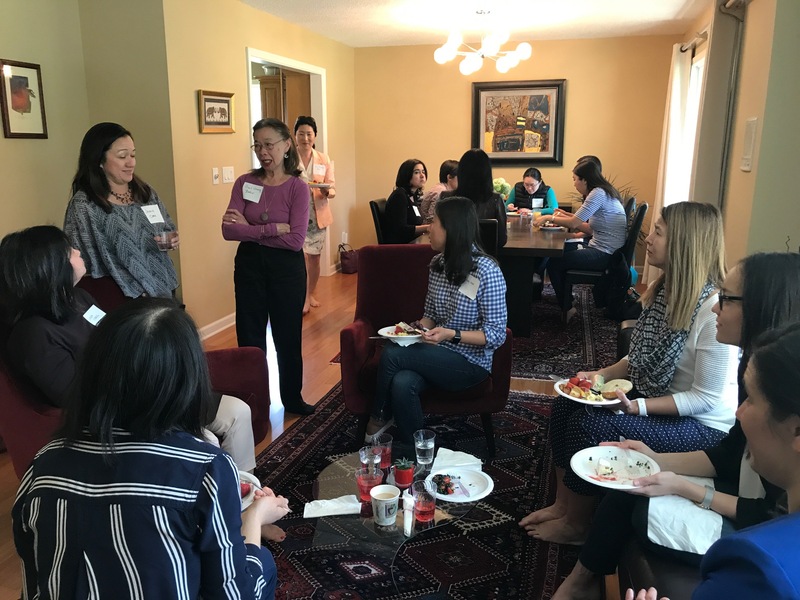 Very special thanks to Summra Shariff of Robins Kaplan LLP for coordinating the clinic along with Volunteer Lawyers Network, the Hmong American Bar Association, and the Hmong American Partnership. Summra is MNAPABA's former VP of Outreach and coordinates her law firm's pro bono efforts. We appreciate Robins Kaplan's support of this effort including all that the firm did to host our clinic training day. Our Legal Advice Day was so smoothly run that its organizers plan to bring it back to HAP on a periodic basis--perhaps for a few hours one day a month. Be on the lookout for details in an upcoming newsletter. 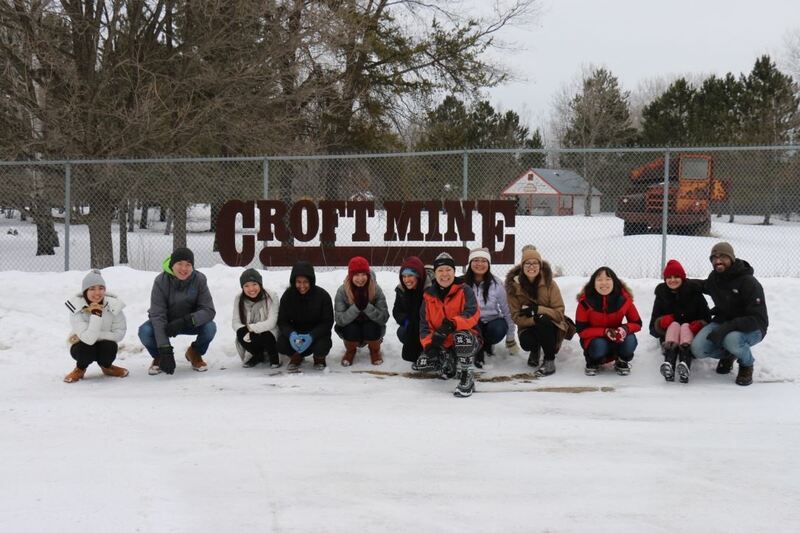 About 25 members took part in this year's Winter Retreat in Deerwood, Minnesota, the weekend of February 10th. 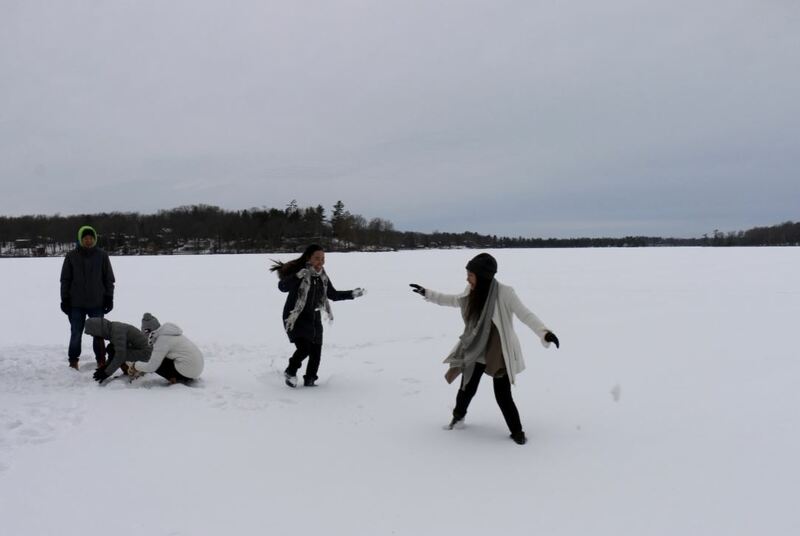 Law students and practitioners gathered for a fun weekend away from the Twin Cities. We'd like to thank the Hon. Peter Reyes of the Minnesota Court of Appeals for joining us at the retreat and presenting a seminar on the importance of personal and career planning. Thank you, Judge Reyes for being a tremendous MNAPABA members, supporter, and "honorary Asian." Asian American Perspectives on Immigration with Twin Cities-based playwright, Jessica Huang, TODAY! Celebration of Minority Judges Reception | Hosted by the Federal District Court of Minnesota on Thursday, March 9. 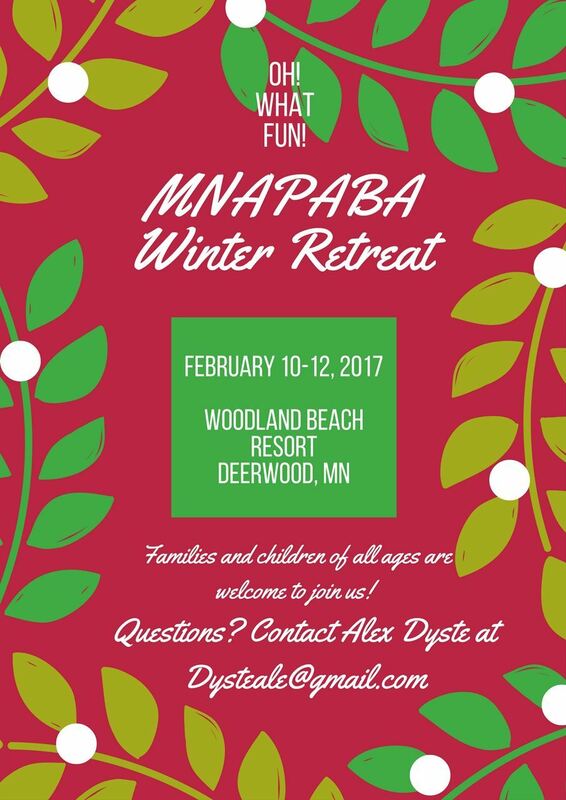 Always check our homepage at mnapaba.org where we post our events, other bar and community events, and recent news. The Executive Board met on January 10. The board discussed updates on judicial endorsements, the summer fellowship program, attending API day at the capitol, efforts to increase diversity in selecting judiciary candidates and in the legal profession, and more planning for upcoming events in 2017. 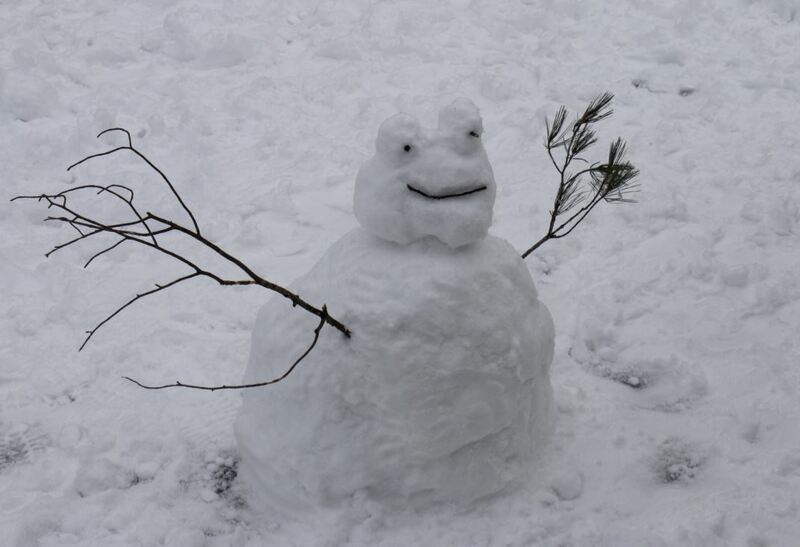 Annual Winter Retreat - sold out! MNAPABA Member News - new partners! 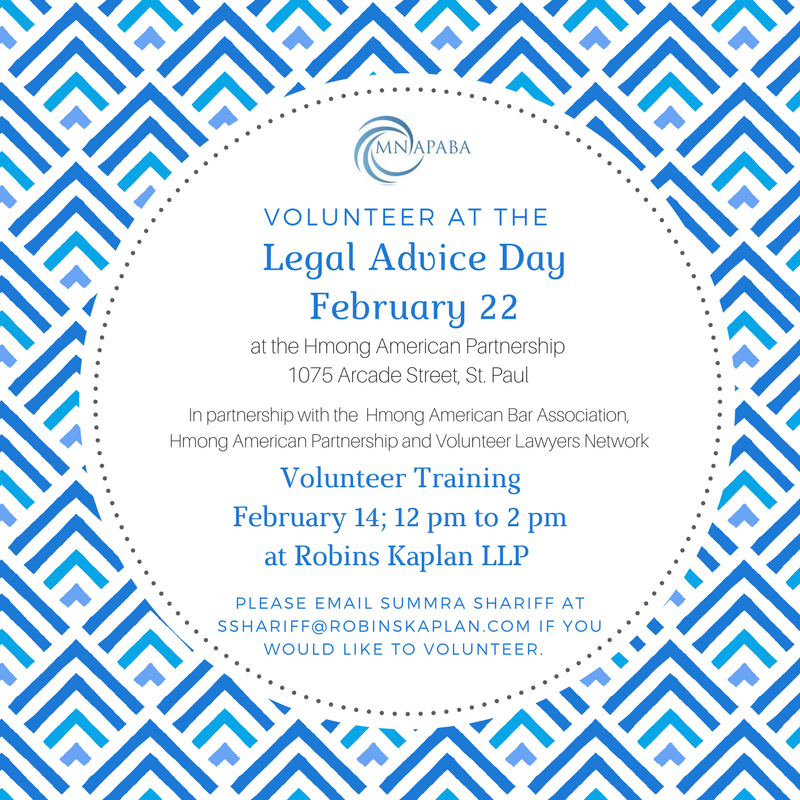 Please volunteer your services at our pro bono Legal Advice Day clinic on February 22 to help refugees and immigrants access much needed legal services. The United States District Court—District of Minnesota's Open Doors to Federal Courts program is an annual program that encourages young people from rural and inner city areas to pursue careers in the justice system. The program usually features a mock trial and a career showcase. We have TWO mock trial scenarios in which the volunteer attorneys (you) may choose from, to present to the students; one is a civil scenario, and one is a criminal scenario. 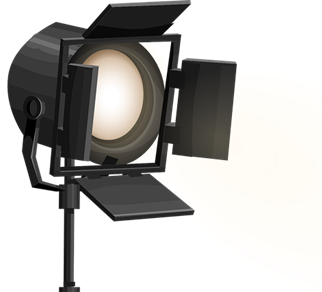 We will be holding two training sessions - the training sessions will be identical, just two separate offerings of dates; March 16, 2017 at 5:30 p.m. and March 21, 2017 at 5:30 p.m. They will be held at the U.S. District Court house in the jury assembly room. At the training session, you will receive training on cultural competence and working with youth in an engaging and meaningful way. CLE credit -Elimination of Bias is being applied for. Fue is an Assistant Ramsey County Attorney working in the Child Support Unit of the Human Services Division. He has been with the Ramsey County Attorney’s Office since 2013. Fue is a graduate of Hamline University School of Law, and before he joined the RCAO, was a law clerk to the Hon. Gail Chang Bohr. Fue is the current president of the Hmong American Bar Association, and is the 2017 St. Paul Chamber of Commerce Young Professional of the Year Award recipient. Fue is also on the board of Urban Boatbuilders, a nonprofit organization promoting youth development through the building and use of boats. Fue credits NAPABA, the National Asian Law Students Association (NAPALSA) and MNAPABA with expanding his network, most notably introducing him to his wife, fellow member Maisue Xiong, whom he met at the national NAPALSA convention in Boston in 2009. NAPALSA is looking for a student in the Midwest region to fill the Midwest Regional Director position on this year's NAPALSA Board. I was hoping that you may be able to reach out to any students, or the schools in Minnesota, and announce the open position. Regional Directors are responsible for recruitment, outreach, and support of local NAPALSA Affiliates and Members. The Regional Director of each region is responsible for actively contacting every APALSA in his/her region and encouraging each APALSA to affiliate formally with NAPALSA. Contact NAPALSA President Ali Hakusui if interested. May 24, 2017 | Washington, D.C. Directly following Lobby Day, NAPABA is offering lawyers — whether in-house, law firm, government, public interest, or academia — a day-long leadership training program on May 24, 2017, in Washington, D.C. Registration Requirements: All direct NAPABA members with 5-10+ years of experience are invited to participate at a special rate of $200. The first 30 applicants who register by the deadline of April 12, 2017, at 5 p.m. EDT, or until the workshop is at capacity, will be accepted into this special pilot program. Click here for complete workshop information and to register. By Friday, March 3, 2017. 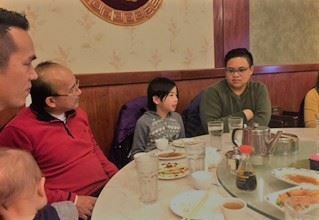 Over 25 members, friends, and family of MNAPABA celebrated the Lunar New Year at Mandarin Kitchen on Saturday, January 28.